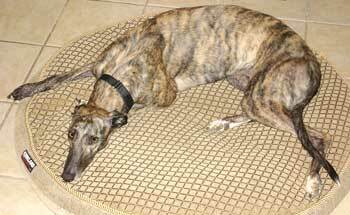 JJ, aka Jungle Jive, is a brindle lady getting ready to celebrate here second birthday. 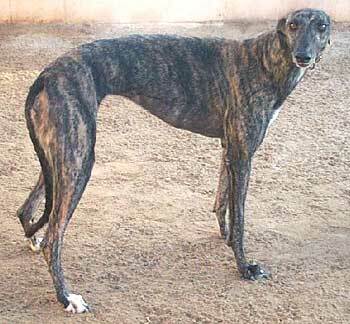 Born on December 25, 2004 to sire, Gable Dodge and dam, Winks Ilene, JJ's racing career was short and she left the circuit after 18 races in Dubuque, IA. Now concentrating on learning her house manners, JJ is ready to meet her new family. It is not known at this time if JJ is small animal or cat tolerant.